When you think of doing things to improve your health, what do you think of? You probably think of working out, eating well, and getting a good night’s sleep, right? You probably don’t think of playing the ukulele, do you? Well, you should! 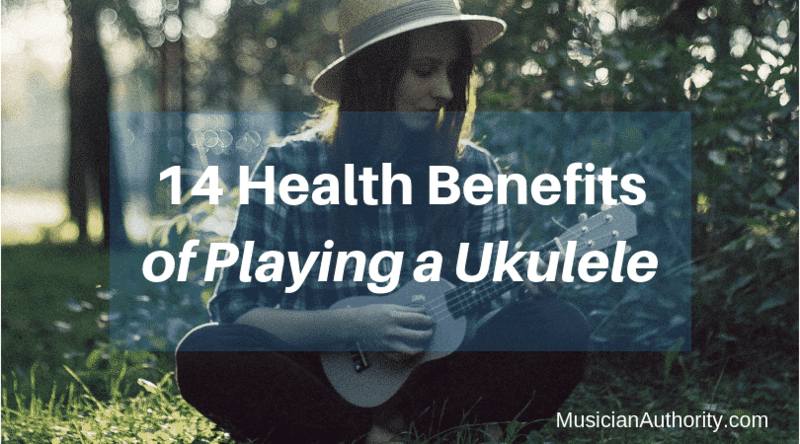 What are health benefits of playing a ukulele? Playing an instrument has many health benefits including increased eye-hand coordination, lower stress levels, improved brain function, focus, and mental clarity. Other benefits include social interaction, a sense of achievement, and improved reading comprehension. Playing a ukulele is beneficial for people of all ages from kids to seniors. While eating right, exercising, and sleeping are all great ways to stay healthy, it’s important to know there are other things you can do as well. And playing the ukulele is one of them. What’s so great about playing an ukulele? They can boost both your mental and your physical health. The ukulele is a sibling instrument to the guitar. It is played with only four strings. And there are four sizes of ukulele: soprano, concert, tenor, and baritone. Its sound is a bit nimble and dainty. Yet, the instrument is an attention catcher. The ukulele, with its Hawaiian name and Portuguese roots, has a rich history. One that unfortunately doesn’t give us the exact name of its actual inventor. The story of how this little instrument became one of the world’s most coveted sounds still is an interesting one. Want to know more? Continue reading and we’ll break down the full history of the ukulele. It’s been said often (and incorrectly) that the ukulele was invented in Hawaii. But in all actuality, the instrument originated in Madeira back in the mid-1880’s. Madeira is a small mountainous island in the Atlantic. Its location is southwest of Portugal and close to the coast of North Africa. The climate in Madeira is tropical and heavily forested. At a point, it was known for its thriving timber industry. The island also has a rich history of making furniture. Owing to the recent boom in popularity, many guitarists are wondering about what it would be like to spend some time with the ukulele. Many friends of mine have played the guitar for many years before ever trying the ukulele so here are their tips to make a smooth transition. 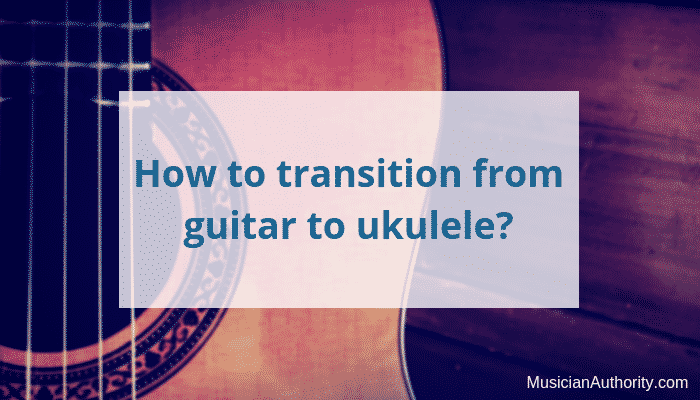 It is not a difficult transition between guitar and ukulele but there are some details and some subtleties that you must take note of to make it smooth and fun. When transitioning from guitar to ukulele, you will notice that the tuning is slightly different and everything is smaller and therefore closer together. Let’s dive right in and see what this means to a guitarist taking on the ukulele. [Read more…] about How to Transition from Guitar to Ukulele? Culling through the different styles and brands of ukuleles, obsessing over minor details and then finally choosing THE ONE is quite a process. But now that you actually have your perfect uke picked out you’re probably plucking away at those thin strings, wondering what else you’re going to need to get the most out of your new ukulele. Or you might even be thinking about getting some gifts for ukulele players. This list will help you. First things first: not all ukuleles are the same. Before looking around for ukulele accessories you should definitely grab a measuring tape or seamstress’ tape and measure the length and width of your instrument. You’ll also need to make sure you know what type of ukulele you have – soprano, concert, tenor or baritone. With this information you’ll be able to know exactly what kinds of ukulele accessories will work best for your particular uke. Once you know these things scroll down to our ultimate list of fifteen ukulele accessories that every ukuleleist should own! 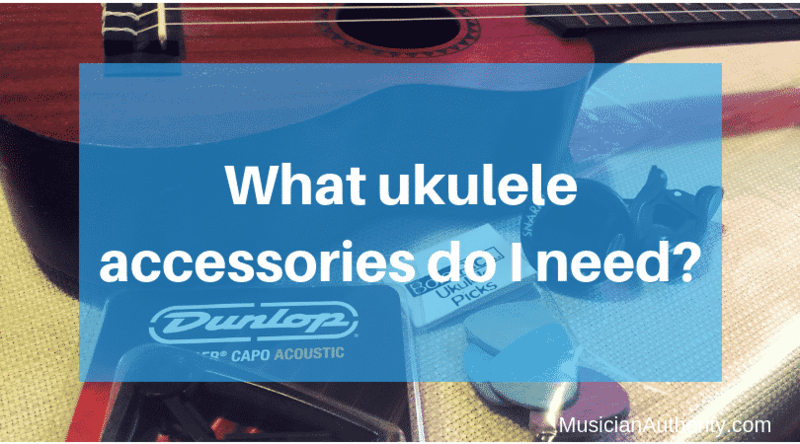 [Read more…] about What Ukulele Accessories Do I Need? As we all press on to become better at playing our favorite songs, whether it’s strumming away to “Hey There Delilah”, or fingerpicking “Frére Jacques”, we inevitably come to a point where we ask this question. I asked myself the same thing and with some research, I’ve found that there are quite a few things we can do. I compiled a list of things that will help you on the way. How to be a better ukulele player? You can become a better ukulele player by learning techniques that will enhance your ukulele skills, such as strumming, fingerpicking, playing scales, using barre chords, and how to read music. These are the main areas you can work on to become a better ukulele player. Be sure to follow a daily practice routine to get the best results. Most of us dwell on the thought that we would’ve been good at one thing or another if we’d made the time to practice. Those piano lessons as a kid, the guitar that sits in the closet, or the language textbooks on the shelf all serve as reminders that we didn’t make the habit of practicing. You don’t want to make the same mistake with your new ukulele. 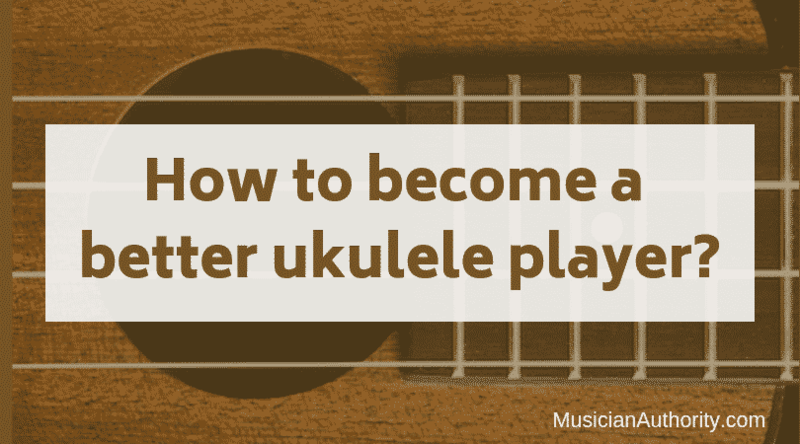 [Read more…] about How To Become a Better Ukulele Player? So, you just got your hands on your first ukulele and chances are, unless you’ve ever tuned another stringed instrument before, you’re feeling pretty lost! The awesome thing about the internet is that you’re just a click away from a wealth of information. The not so awesome thing about the internet is that, well, now you have to sort through all of that information, deciphering between a bunch of different websites and piecing together what tidbits of knowledge work for you and what doesn’t. 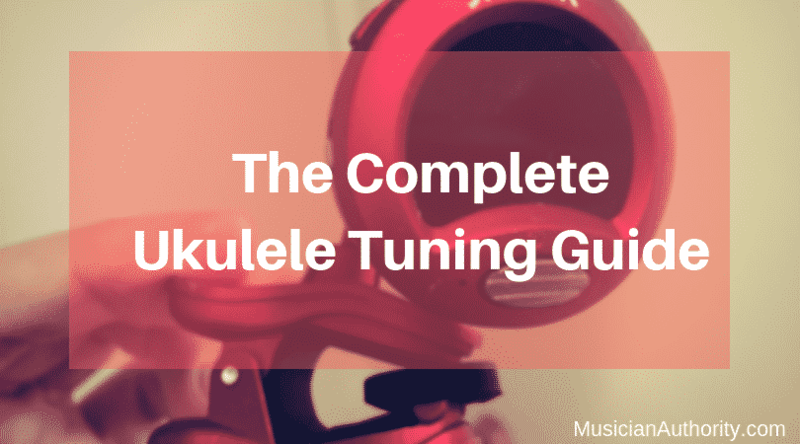 Here, we’ve put together the most commonly asked questions about how to tune a ukulele so that you can stop digging for answers and finally start strumming your (tuned) uke!